In the old photo we see the entourage and perhaps Hitler descending from the Kehlstein down to the Obersalzberg. In the now picture I was sitting in the front seat of the same bus you see in front of us. This picture was not intended and the idea came later when I found the old image. 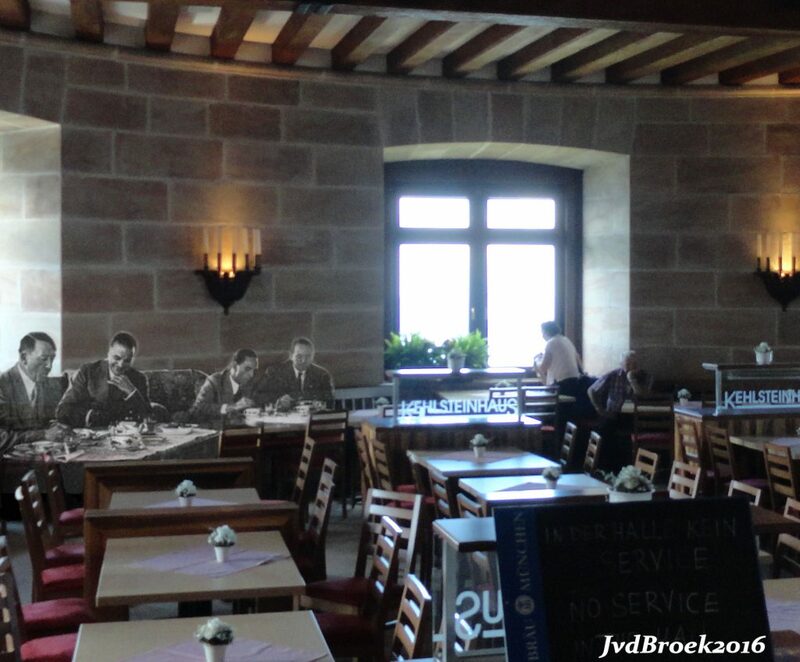 Hitler, Eva Braun, Speer and I think Goebbels between Hitler and Speer here at the Mooslahner Kopf Teahouse. Hitler with Ley, Wagner and Schaub at the Kehlsteinhaus. Hitler at the Konigssee with in the background the St. Bartholomä church. In the photo we see Eva Braun and her friend Herta Schneider walking on the Obersalzberg with one of Eva’s terriers (Negus or Stasi). 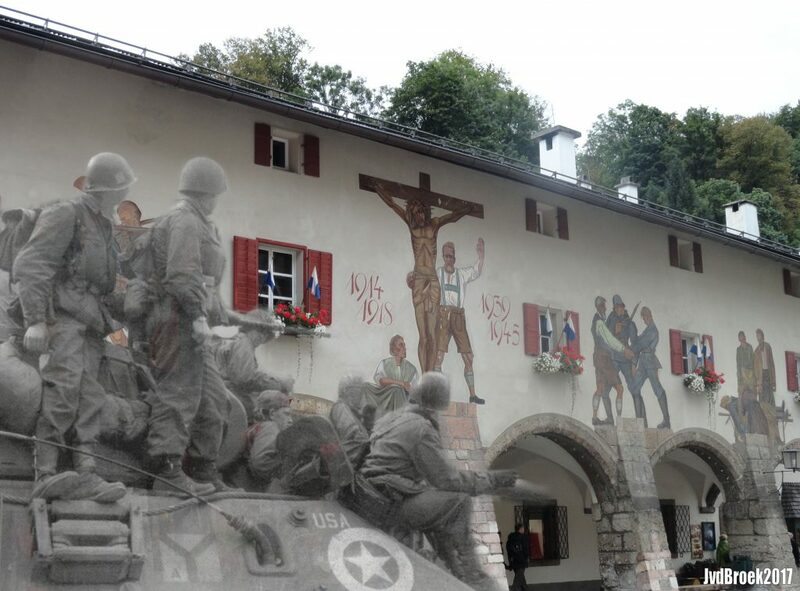 In the back we see the Guesthouse for Hitlers Guests, nowadays the documentationcenter Obersalzberg. 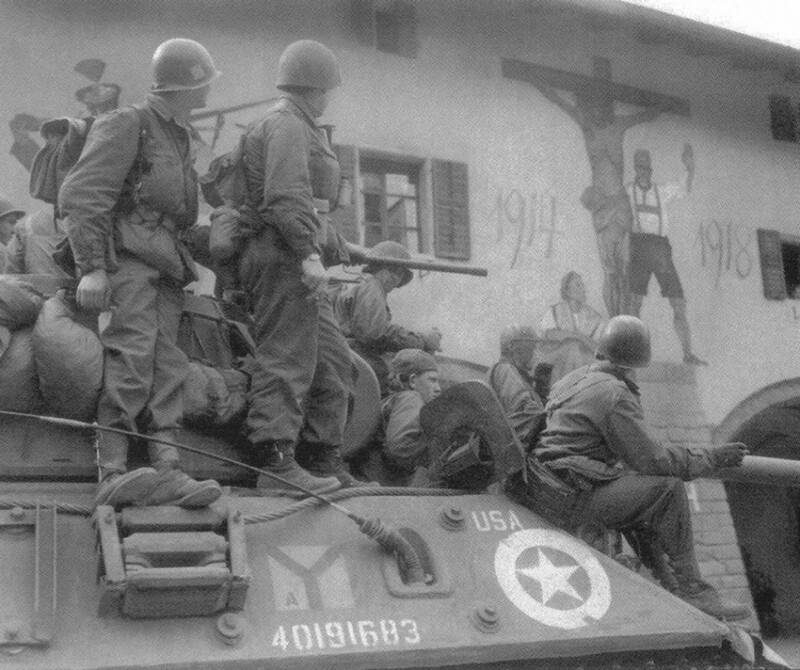 These 3rd Infantry Division GIs riding on an M36 tank destroyer are viewing the Berchtesgaden World War I memorial in 1945, painted in the Schloßplatz. 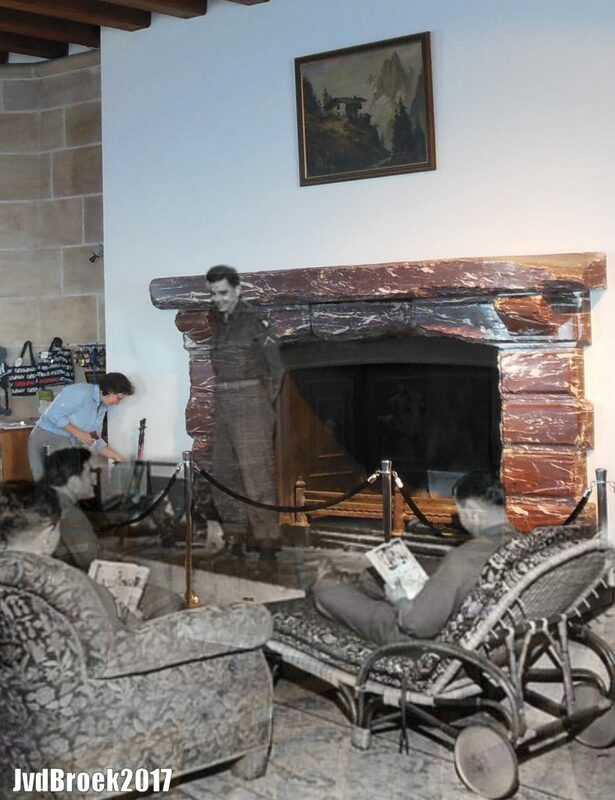 Soldiers relaxing before the fireplace of the Eagles nest, Obersalzberg at the end of World War II. At the south end of lake Königssee, separated by a narrow isthmus of land, is the Obersee. Hitler visited the place to take some shots from beautiful countryside. I was there a couple of years ago to take this comparison.